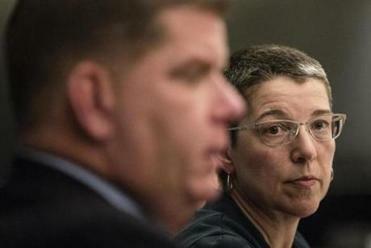 Interim Boston Public Schools superintendent Laura Perille spoke to the Globe editorial board on Thursday. 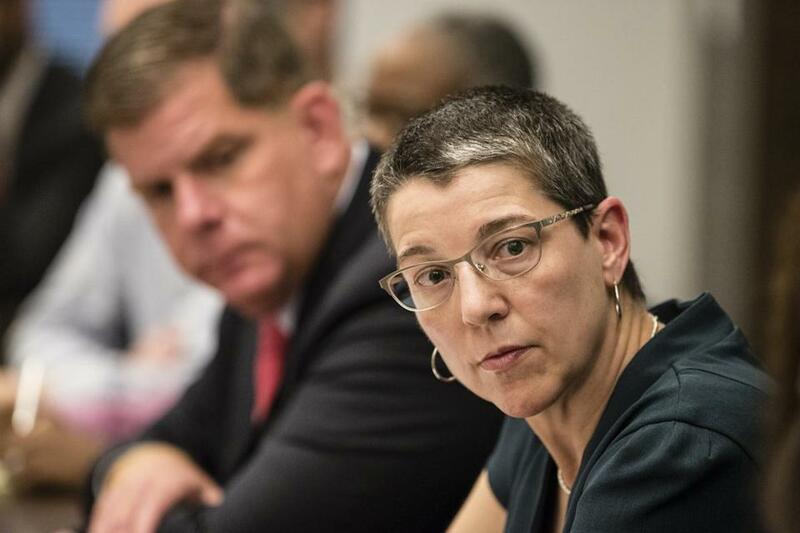 LET’S STOP PRETENDING Laura Perille will be just another interim superintendent of the Boston Public Schools. The mayor won’t admit it publicly. But the permanent job is hers to lose. Perille’s recent media rounds — to which she was escorted by Mayor Martin J. Walsh and School Committee chairman Michael Loconto — felt like a coronation. “The chairman and the mayor have given me broad authority,” she declared at a meeting days before any school committee member even cast a vote for her for the interim position. As president and chief executive of Edvestors, an education nonprofit, Perille is an untraditional choice. Indeed, she’s not even licensed to run a public school system in Massachusetts. That’s not terrible. What’s more concerning is the charade of calling Perille an “interim,” while at the same time Perille promises to carry out Walsh’s change agenda — whatever that might be. And, all without any public debate or announced plan for opening the search process for a permanent superintendent. Ironically, one of Walsh’s priorities is for Perille to build trust with school leaders and the community. Yet the way the mayor hijacked the process after Tommy Chang’s awkward exit as superintendent does the opposite. “It’s eroding trust,” said Tanisha Sullivan, president of the NAACP Boston branch. Laura Perille, president and CEO of EdVestors, said the mayor and school committee chairman have given her broad authority. If that doesn’t get Walsh’s attention, it should. His break with Chang is supposedly about proving he’s serious about building consensus for bold change for Boston schools. But if the NAACP is already challenging the way he’s going about it, that’s a problem for a mayor who says he cares about racial and economic equity. Especially since one of the biggest tests faced by Chang involved racial tensions at Boston Latin School. An outsider who came to Boston via Los Angeles public schools, Chang seemed unprepared to deal with the issue. But then, so did Walsh. At a meeting at the Globe last week, Walsh said there was no specific “breaking point” with Chang, just his perception that “every time we had a start, we had a stop.” From the outside, however, it looked like a “stop” happened after Walsh backed away from a “start” Chang tried to initiate, such as changing school start times so that younger children started earlier and teenagers started later. The proposal was based on research showing that later start times were better for older students. But parents objected, and the plan was scrapped. If it is what it looks like — a back door to the permanent job — that’s no way to rebuild trust. Another BPS superintendent has come and gone. Now what?